Dr. Kelly Wilfong is a Parkersburg native and graduated from Parkersburg High School. He received his B.A. in Biology at West Virginia University and graduated in 2005 from West Virginia University School of Dentistry. He practiced in several group practices prior to acquiring and beginning practice at his current location, formerly the practice of Dr. David Morford, on Emerson Avenue in Parkersburg, West Virginia in 2011. He enjoys all disciplines of dentistry and has attended multiple mini residencies in cosmetics, restorative and implant treatment. 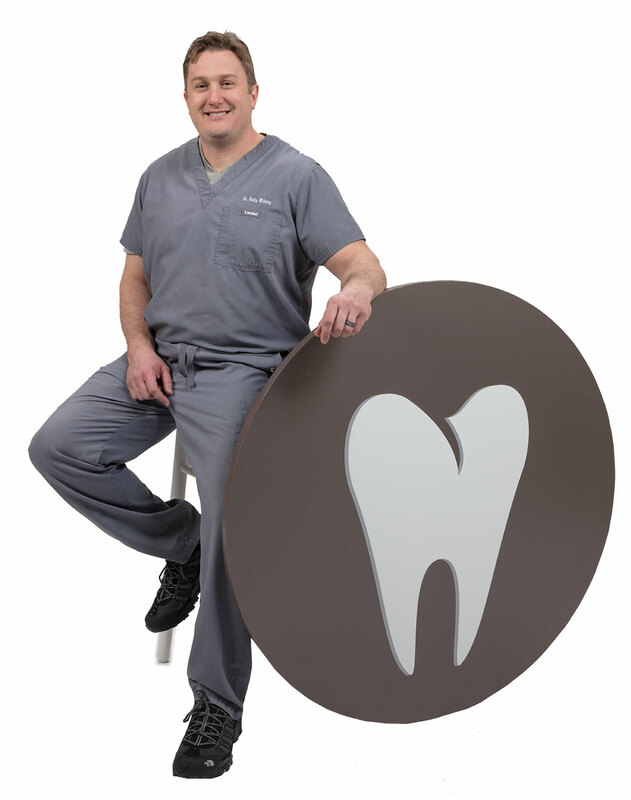 He strives to provide cutting edge dental technology to his patients through continuing education, staff and patient education and technological upgrades. He continues to maintain an active status in the American Dental Association (ADA), West Virginia Dental Association (WVDA), and is a current member and past president of the Blennerhassett Dental Society. He is also a fundraiser for Wood County Society during their Celebration for Kids telethon each year and a member of Stout Memorial United Methodist Church. He is excited to have the opportunity to offer advanced oral healthcare to his hometown community and resides in Parkersburg with his wife, Jane and daughter, Liddy. Doctor Kelly Wilfong is a Parkersburg native and graduated from Parkersburg High School. He received his B.A. in Biology at West Virginia University and graduated in two thousand and five from West Virginia University School of Dentistry. He practiced in several group practices prior to beginning practice at his current location in two thousand and eleven, formerly the practice of Doctor David Morford on Emerson Avenue in Parkersburg… Doctor Wilfong enjoys all the disciplines of dentistry and has attended multiple mini residences in cosmetics, restorative and implant treatment. He strives to provide cutting edge dental technology to his patients through continuing education, staff and patient education and technological upgrades. He maintains an active status in the American Dental Association (A.D.A. ), West Virginia Dental Association (W.V.D.A) and is a current member and past president of the Blennerhassett Dental Society. He is also a fundraiser for Wood County Society during their Celebration for Kids telethon each year and a member of Stout Memorial United Methodist Church. He is excited to have the opportunity to offer advanced oral healthcare to his hometown community. He resides in Parkersburg with his Wife Jane and daughter, Liddy.